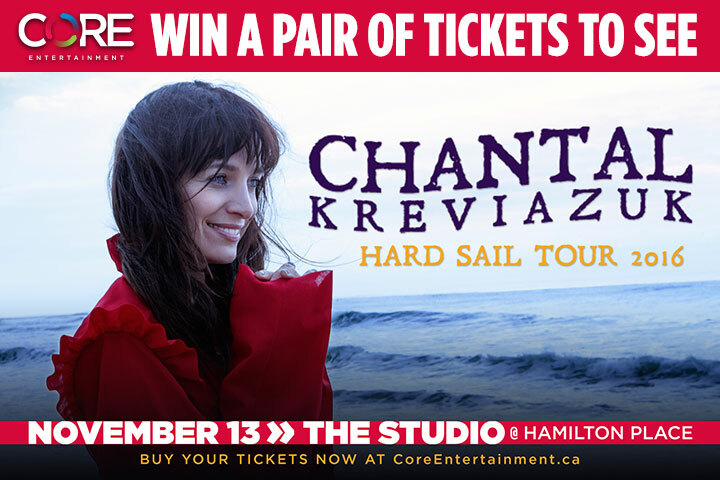 Chantal Kreviazuk brings her Hard Sail tour to Hamilton and I Heart Hamilton is giving away a pair of tickets. Want to win? Send an email to ihearthamiltontour@gmail.com with “Chantal” as the subject. Please include your full name. Winner will be chosen at random and notified on November 6th. You will pick up the tickets at the show.